West Broad St. and Mercer St.
John Hart was a farmer, businessman, public official and politician from New Jersey who signed the Declaration of Independence. The actual year of John Hart's birth is unknown. 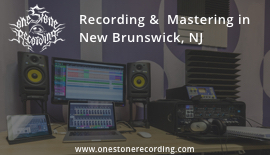 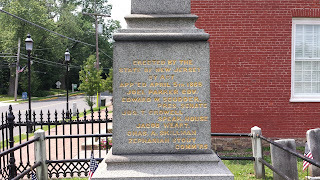 However, biographers often put it in the year of 1713 in Hopewell, New Jersey. 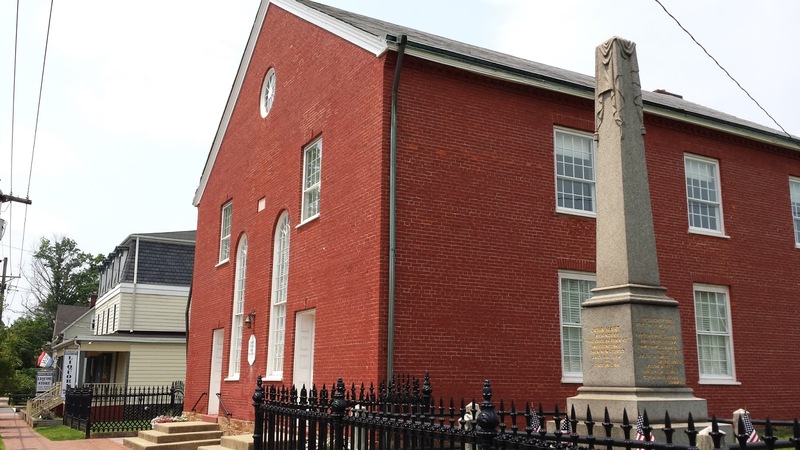 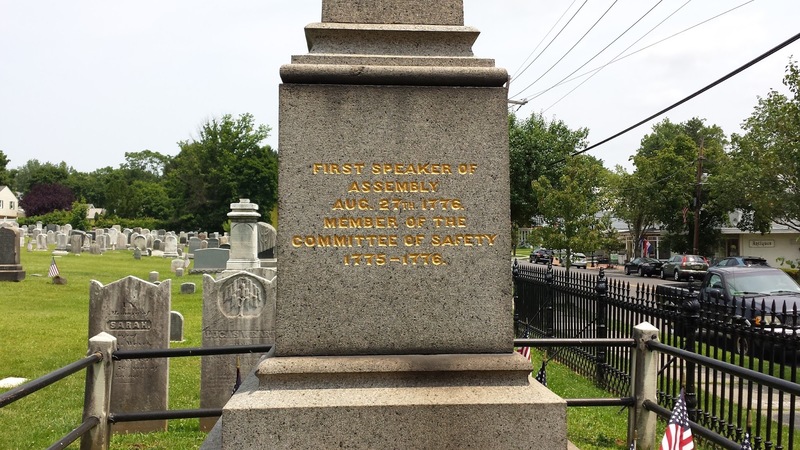 Hart was a lifelong resident of Hopewell, who was elected as one of five New Jersey delegates to the Second Continental Congress in June 1776. 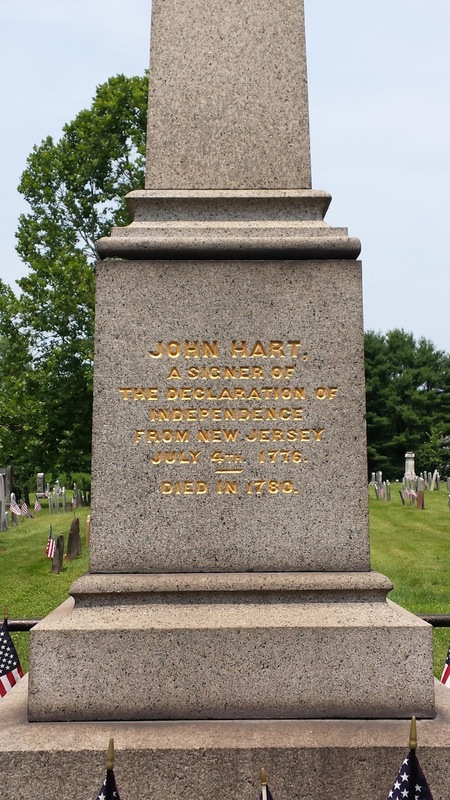 Hart, a strong supporter of independence, was the thirteenth delegate to sign the Declaration of Independence. 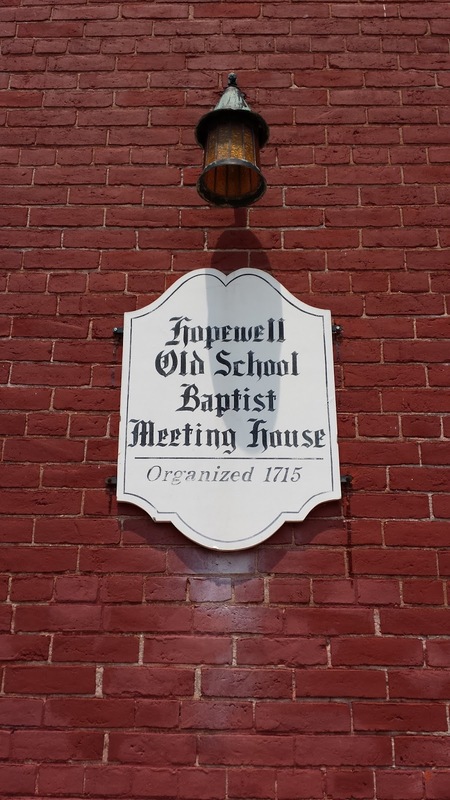 In December 1776, Hart and his family were forced to flee from their home in Hopewell in order to avoid British and Hessian raids in the area. 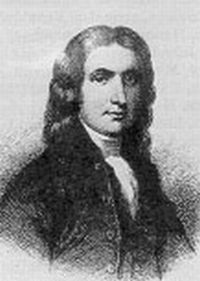 Hart himself hid in the woods, caves and in the Sourwood mountains. 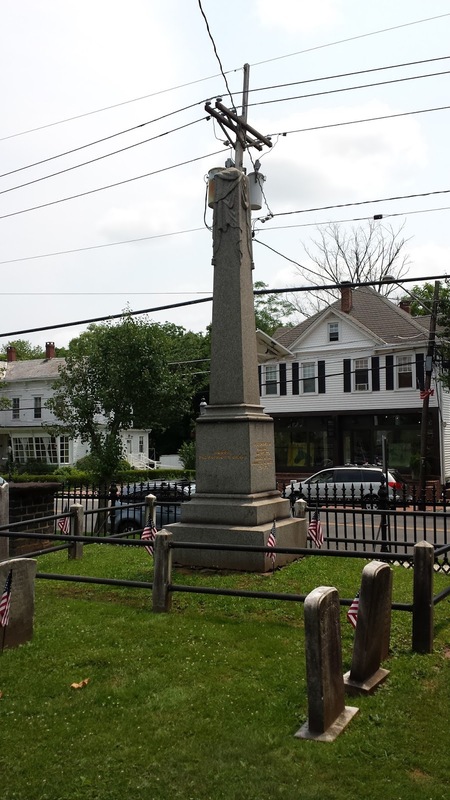 Hart returned to his home after British and Hessian forces withdrew from the area following their defeats at Trenton and Princeton. 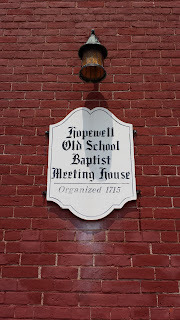 In June 1778, Washington and 12,000 men from his army camped on John Hart's farm in Hopewell. 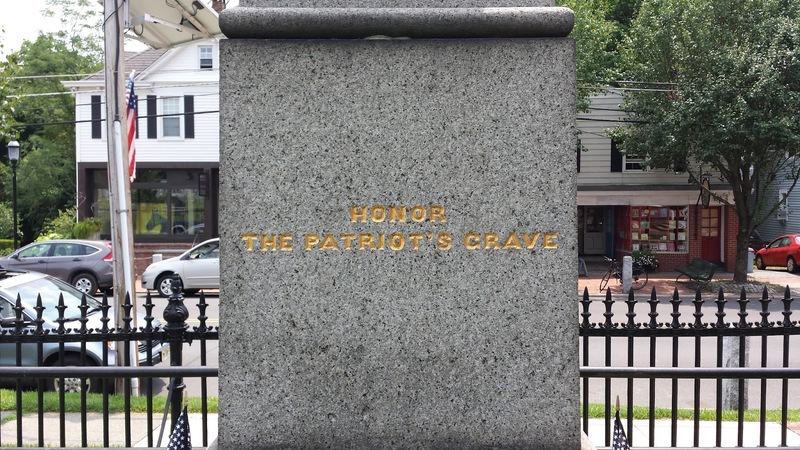 The army left on June 24th, and four days later fought the British to a draw at the Battle of Monmouth. 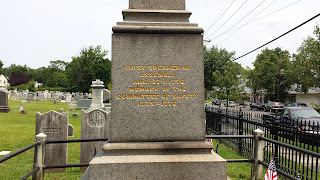 John Hart died of kidney stones on May 11, 1779. 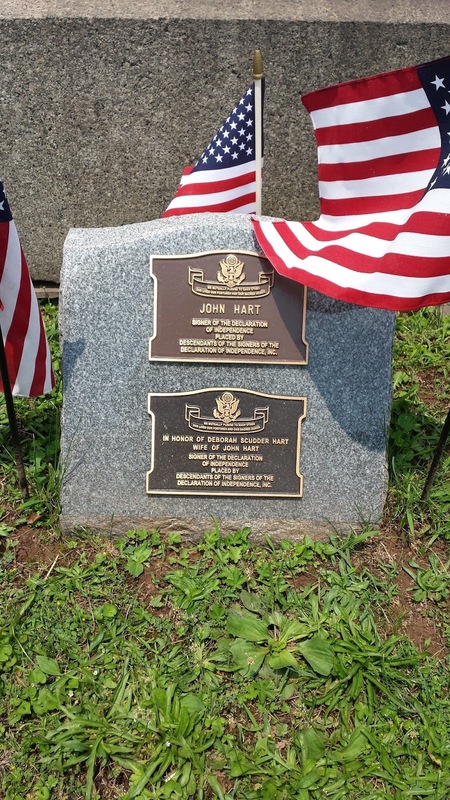 John Hart died in debt and most of his property was sold to repay his debts. 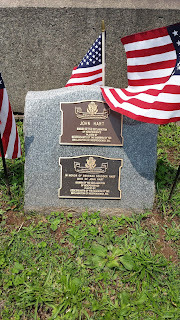 John Hart and his wife Deborah are interred at the Hopewell Old School Baptist Meeting House Cemetery. 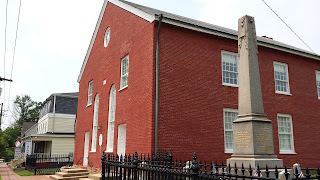 The land upon which the church and cemetery was built was donated to the Baptists by Hart in 1747. 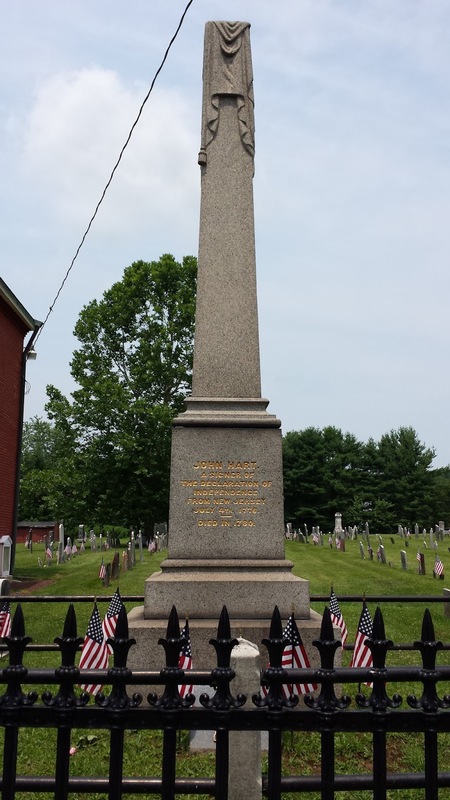 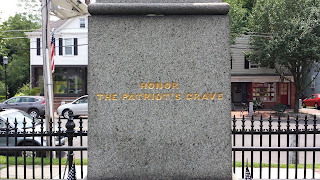 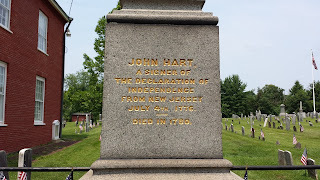 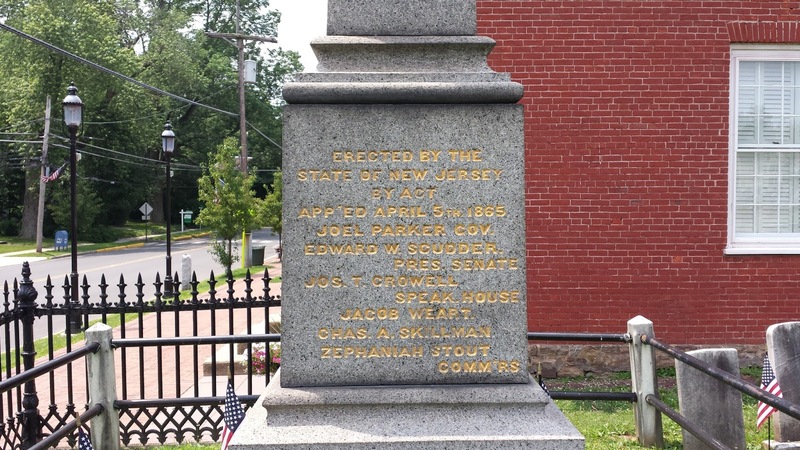 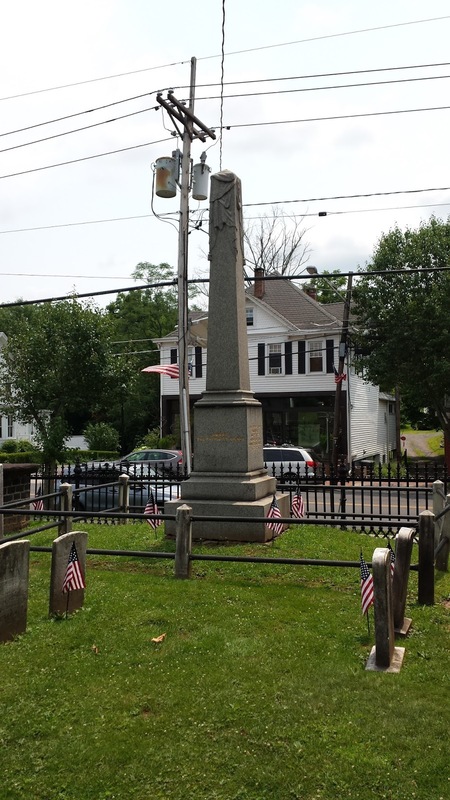 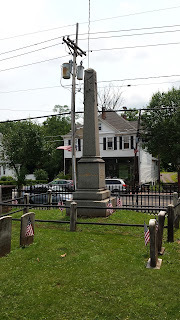 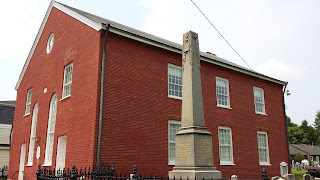 The obelisk marking John Hart’s Grave has the date of John Hart’s death as 1780, but most biographers and the NJ Gazette say that he died on May 11, 1779.